Unfortunately, the multivitamin line from One Source, which were sold at Wal-Mart, has been discontinued. However, the good news is that there are many other vitamin supplements that will fill the bill. Seek quality ingredients, and beware of vitamins that exceed the recommended daily allowance, especially for minerals and the fat soluble vitamins A, D, E, and K, which can build up in your body and lead to toxicity. 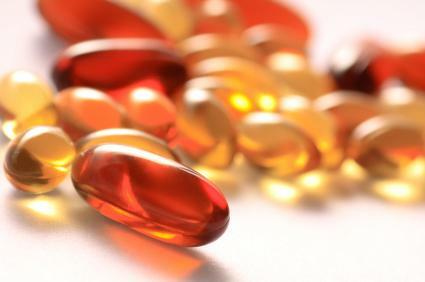 If you take a multivitamin with 100 percent or more of the USRDA for various nutrients, then you most likely do not need to take single-nutrient vitamins, as well. Talk to your doctor about your unique needs in a multivitamin supplement. Even if you can't find One Source vitamins any longer, many brands exist that provide high-quality nutrition at a decent price. Talk with your health food store proprietor about finding the right multivitamin supplement for you. Many people take a multivitamin or mineral supplement in order to assure they receive adequate amounts of vitamins and minerals. Depending on the manufacturer, multivitamins offer a broad spectrum of nutrients in a single dose, providing a convenient way for busy people to gain adequate nutrition. Multivitamins work well for people who do not eat a balanced diet consisting of a broad array of foods including fresh fruits and vegetables from across the spectrum of colors. Because they usually only require you to take one pill, multivitamin supplements may also work well for people who dislike taking pills, and for children. Taking this type of a multivitamin may help prevent nutritional deficiencies, which can lead to an array of health problems.